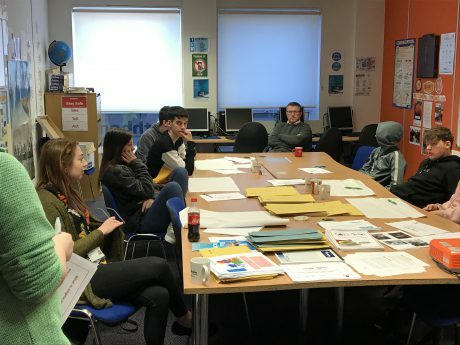 Over the last 2 weeks, Rathbone Training centres have been working in conjunction with ‘Time to Change Wales’ in Neath and Swansea by inviting ‘Mental Health Champions’ into centres to openly discuss Mental Health, encourage open discussion and improve the knowledge of our young people around mental health issues. Our young people were given an insight into a range of issues surrounding health and well-being by participating in valuable and informative sessions to promote positive mental health and well-being. For those affected by these issues, the messages given were encouraging. It was important to ensure that they are being supported properly and they understand that ‘it’s ok, not to be ok’. Each Champion – Steve and Izzy – talked about ‘Time to Change Wales’ and how it was time to change the stigma related to mental health. Discussions took place around the effects of good and bad mental health, and how the impacts prompted valuable open discussions on personal experiences. The Champions shared their own personal experiences and stories with the groups and explained how everyone could help support friends and family. They also shared available options for further support. All learners who participated in these sessions enjoyed their time and involvement.